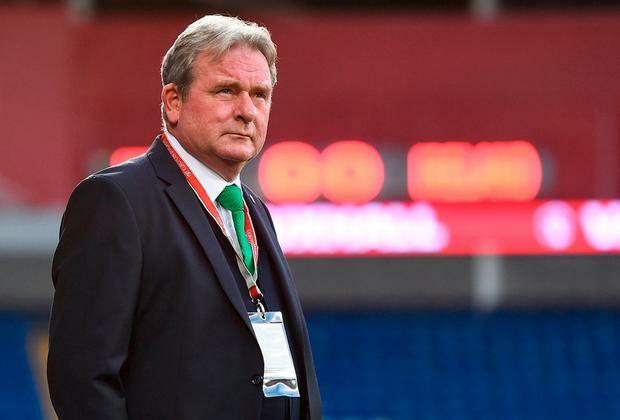 Steve Walford has departed his role as a coach in Martin O'Neill's set-up due to personal reasons. The Ireland manager confirmed that the 60-year-old had moved on after he was quizzed on his absence during the November double-header. He left open the possibility of a return, but then appeared to rule out the prospect in the same exchange. O'Neill has enjoyed a long working relationship with Walford (right), stretching back to his first league job at Wycombe. "Steve has a couple of personal things that he wants to deal with and he has left at this moment," said O'Neill. "He hasn't been there for some time and I'll give him time to think about it but, yes, I think he probably has gone. There are a few things he wants to deal with. "Steve has been absolutely terrific. He has been my coach at club level; he's shared in the success that we've had at the various clubs and I think he's an absolutely excellent coach, a really excellent coach. "And yeah, he is a loss in the sense that we've always enjoyed working with each other and it's been great. From that viewpoint I miss him. But life goes on." O'Neill was non-committal on whether he would replace Walford, but indicated that his exit would allow Steve Guppy to take a more prominent role. Guppy has also been a part of the Irish set-up for five years working alongside O'Neill, Roy Keane, goalkeeping coach Seamus McDonagh and Walford. The former Leicester winger has an influence in the area of set-pieces but he has broader responsibility now. "I knew that Steve was going to be leaving but, no, Steve Guppy is a young coach who has done excellent," said O'Neill when the possibility of a replacement was raised. "He was the coach of Colorado Rapids who won the Major League soccer a few years ago. "So I think he's got some pedigree considering Colorado were probably about 500/1 to win the competition at the time. So Steve has done really fine. We'll see what happens."